I didn’t know there was a Money Team Russia. 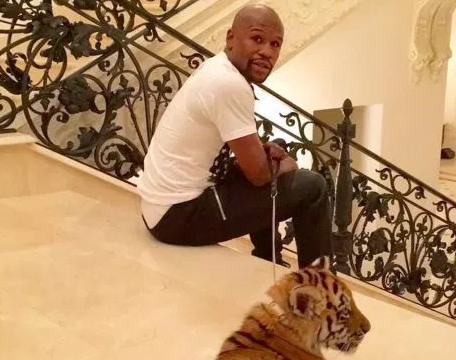 Besides getting a flashy fur coat on his trip to Russia, it appears Mayweather was gifted a pet tiger by his Russian money-making associates. If that little furry creature returns to Vegas with Floyd, I’ll definitely have to keep a serious monitor on the IG page. Hilarity can only ensue from this.